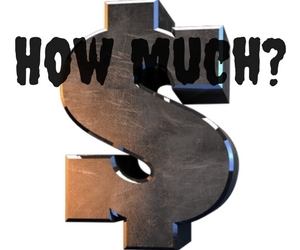 MLM Objection Handling: How Much Money Do You Make? It seems if you have ever prospected for your MLM business, you hit some of the most common MLM objections again and again. However, learning the right responses can help increase your odds of success, and help you through these tough MLM objections. Should I Handle MLM Objections? It's up to you, but I recommend when someone's giving you a hard time, not going to join, or trying to control the conversation - just let them go! Doing so will save you time, frustration and energy to focus on better prospects. However, if a prospect seems interested, and throws out an MLM Objection, it may be just a concern you should answer. If you have made no money in your MLM business, or very little, there is a good response you can use to help. "Well prospect, what I have made is not a reflection of what you will make. Some people have higher work ethic, therefore make a lot more than others. So it will be based on what your work ethic is." 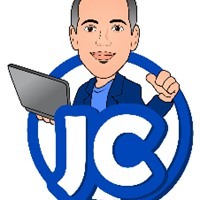 You can then explain the possibilities of what they could make, starting at zero up to whatever the highest income earner makes in your company. You never told them you made nothing, and have dodged that unfair image it would of placed on you. You managed to do this and stay honest with your prospect. Want More MLM Objection Handling Tips? 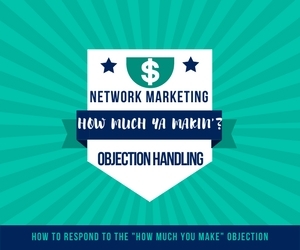 If you got value from this MLM objection handling tip, be sure to visit my official website using the link below, and get more tips on other MLM objections and free gifts to build your MLM business.